I've been enjoying stamping with my new stamper from Chelle Lee and well, this polish was begging to be stamped! I used one coat of De-Flowered for the base color and stamped it with Konad black, VL plate 35, and my new stamper head from Chelle. This stamper is the closest one I've found to the original Marshmallow head that I got from Ninja Polish many many years ago. I've bought and tried at least 30 different ones searching for a replacement, and I think I've found it in Chelle's stamper head. It is made from a slightly different material and feels more durable but it is just as squishy and sticky as the original. If you're interested in this stamper, you can fill the form here to order. 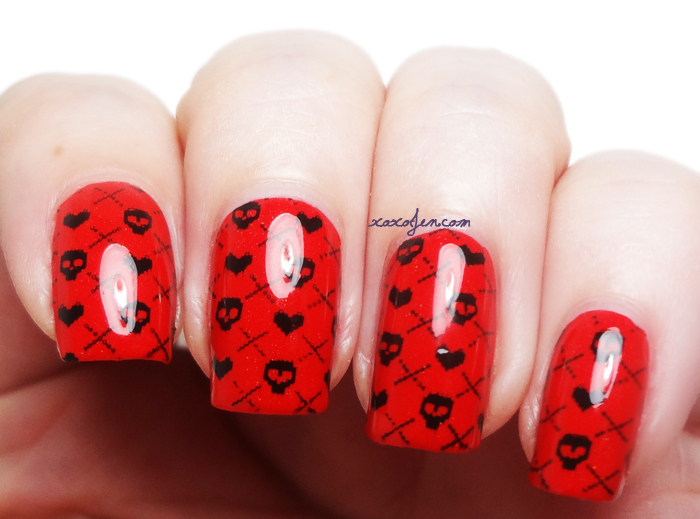 The pixelated skull and crossbones is super cute, yet edgy and goes perfectly with this polish, don't ya think? There cute but edgy at the same time. This is one of my favorite VL images! 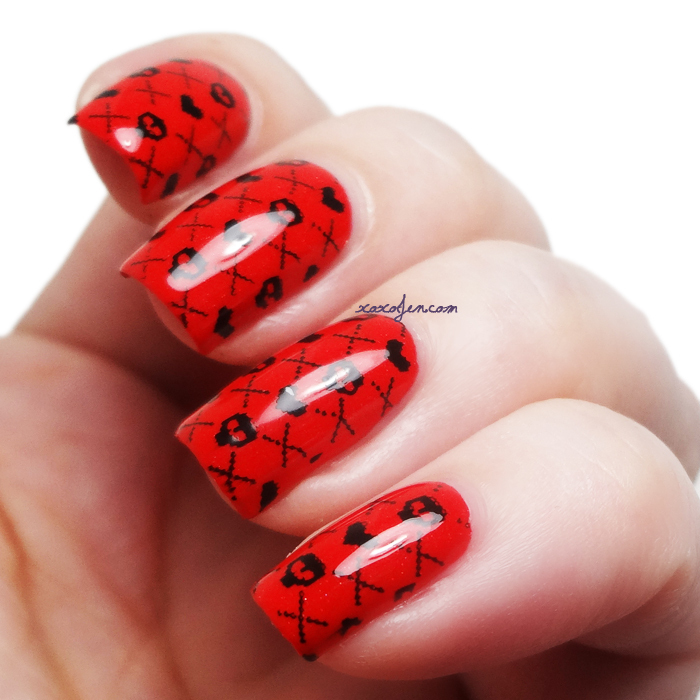 This mani is the first time I used it, but I love it and can see why you do too!